Welcome to our Dedicated Property Management Team. 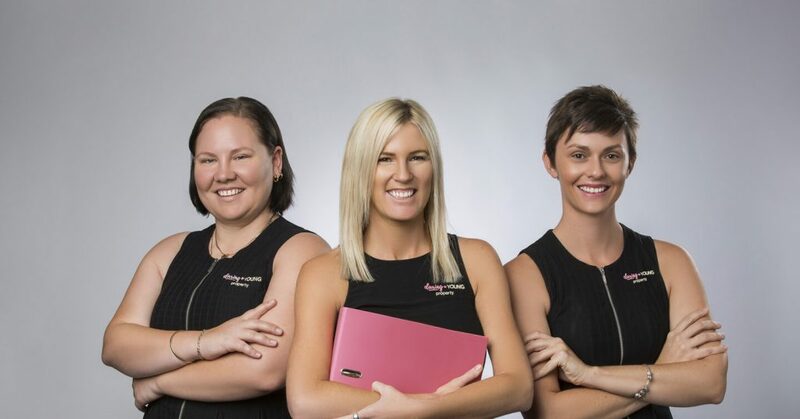 Stevie and Natalie are a vibrant, enthusiastic, dedicated and professional property management team located in the Townsville, Queensland area. We look forward to offering you the very best in Townsville property management. Our team provides top notch property management solutions for Landlords all around Australia who own investment properties in Townsville. We are passionate about our property management services, especially in the Townsville, Queensland area. Stevie and Natalie are uniquely qualified because they are both native to Townsville and have a special connection to the area which allows for personalized approach to local property management needs. Natalie and Stevie come to the property management table with more than 15 years of experience. 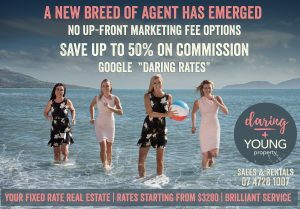 Real Estate agents in the Townsville, Queensland area are constantly in need of reliable and professional property management. That is why they have come to rely on Daring & Young Property. Since Natalie and Stevie work together as a team they are prepared in a timely manner to respond to property management needs as they arise. Our aim is to consistently exceed all property management expectations. We understand that choosing to invest in any property is no small matter. We honor that investment by taking care of all property management needs as they arise. There are many needs that crop up each day when it comes to property management and we handle those needs in order to make life easier for you. We are here to help you manage not only the day to day management needs but also those needs that can be more stressful. Even the best kept properties can have stressful emergencies arise that require prompt and professional attention. We are ready to manage whatever need arises in a way that protects your investment. When you partner with our team you can rest assured that your investment property is in good hands. Be Daring. Contact us for a No Obligation chat about your property. Whether you have been investing in the Real Estate market for a while or you are brand new, we invite you to contact our team for the best property management experience. Constant communication is a top priority as we make it our goal to put your mind at ease when it comes to your concerns about property management. You can trust our team to give you the honest, straightforward advice you need when different property management issues arise. For more information give us a call today at 07 4728 1007. We look forward to speaking with you soon and taking those property management worries off your hands for good. If you prefer, you can fill out the information on this general contact form. Once you get in touch with us we will arrange the best time to connect in order to explain all that we have to offer you as a premier property management company. We provide you with an appraisal of your property that includes comparable values within the area. Our appraisals are honest, fair and straightforward. When you make the decision to entrust the management of your property to us you can sit back and let us take the lead on all the details. We are here for you whenever you need honest and upfront property management advice.